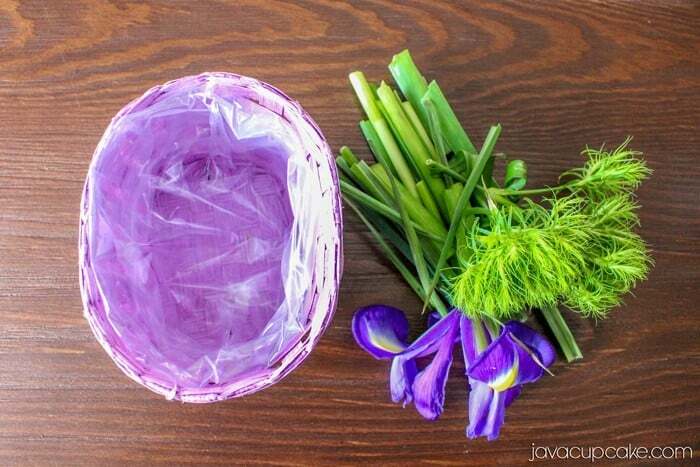 After the brunch was over, I wanted the flowers to stay fresh and last, but I couldn’t just pour water into the wicker basket… it would spill everywhere! So, I came up with this genius life hack. 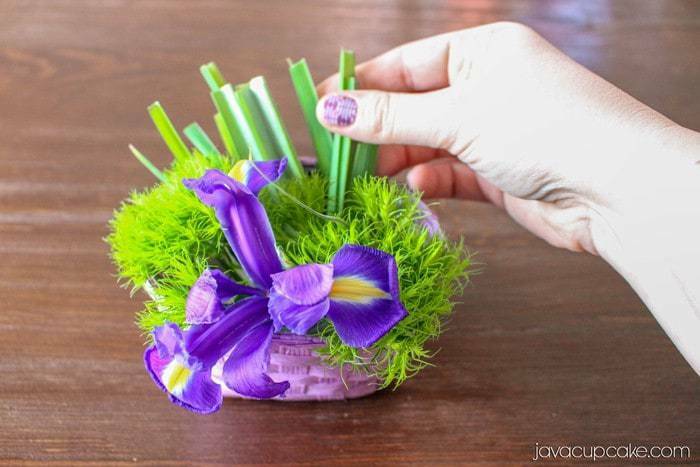 Here’s how to keep flowers fresh in a basket vase! 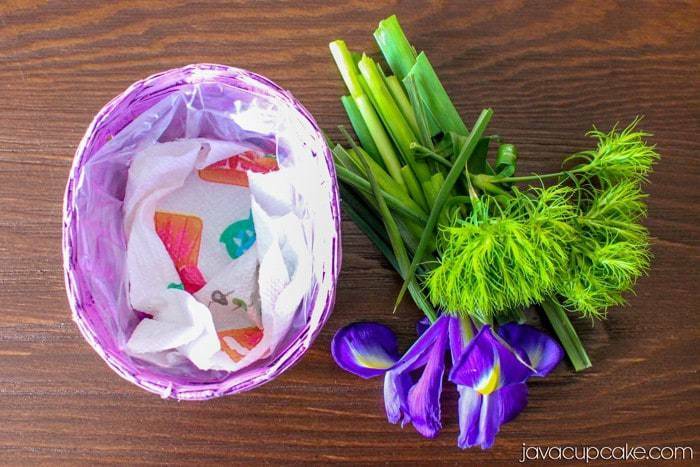 Flip the edge of the sandwich bag over until it’s about the size of your basket and place it inside. This bag will create a lining for the basket. You don’t want any of the bag to show over the top of the basket. Since I don’t want the water to leak out of any hole in the bag, I place a paper towel in the bottom of the basket. 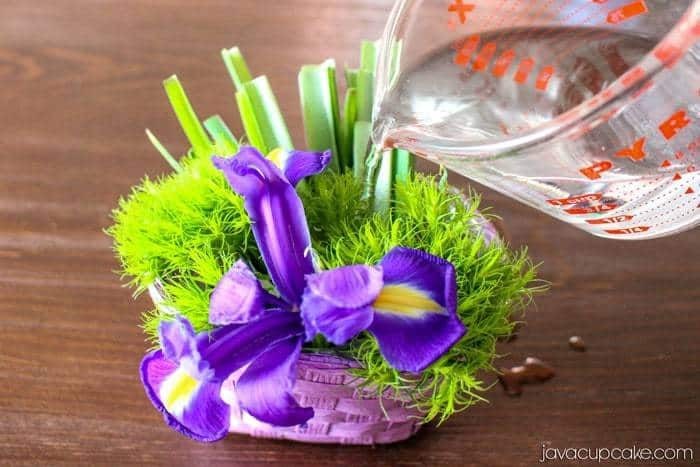 This will help absorb the water, prevent it from leaking and still allow the flowers to “drink” and stay fresh. 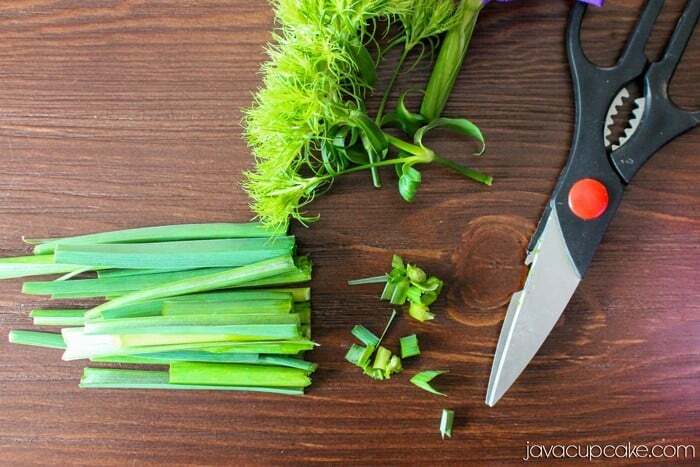 With all fresh cut flowers, you want to trim the stems so that they can absorb the water. Arrange the flowers in the basket however you like. 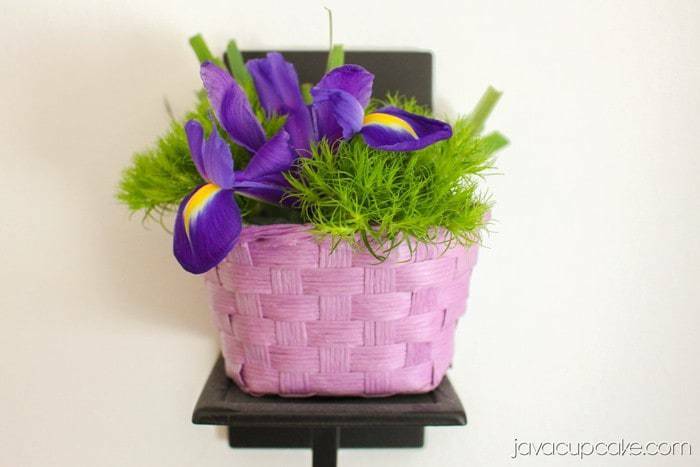 When Rachel first put together these baskets, she placed the beautiful Iris in the front, used the green blooms as fillers and the stems added height in the back. Beautiful! Finally, add water to your basket. You won’t need more than about a 1/4 cup of water, probably even less depending on the size of your basket. 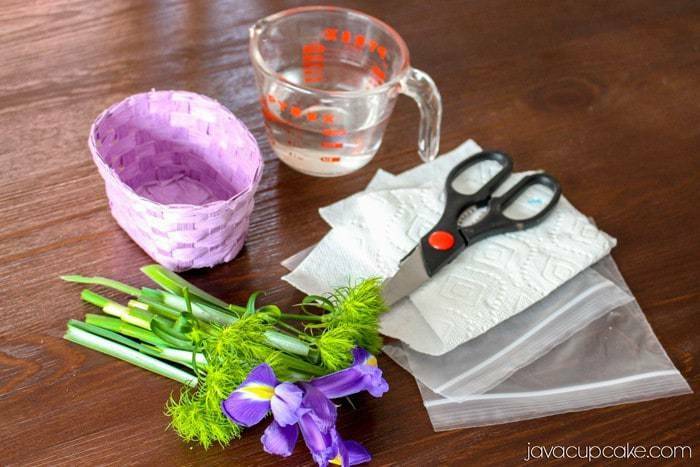 Just enough to moisten the towel and give your flowers enough water to stay fresh. Add a tablespoon or two more water every day. 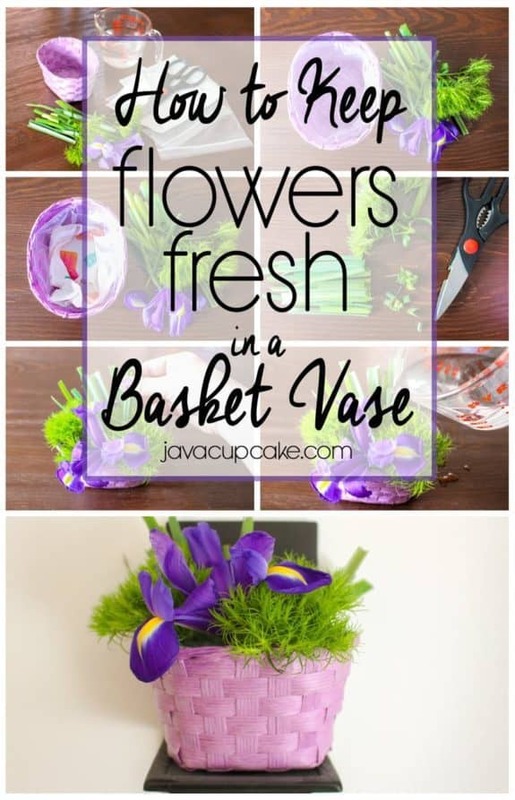 Your flowers should stay fresh for 3-5 days! Very cute! I googled an idea for this and came across your site. I’m going to try it!